At Lockaby PLLC, our hallmark is service to our clients in Lexington and throughout the Commonwealth of Kentucky, primarily in workplace and class action matters. Because we so strongly believe in service, we refuse to be bound by the dated convention that a law firm must represent only plaintiffs or defendants. We are proud to represent blue and white collar workers, small businesses, and Fortune 500 companies. In other words, we give service to others: service to those in need; service to those facing difficult challenges; service, period. Our "service to all" credo gives us a distinct competitive edge. Because of our experience representing both individuals and companies, we have a unique and balanced perspective that allows us to determine and understand each client's risks; accurately and fully evaluate each client's issues; and provide reasoned, pragmatic, and innovative advice, counsel, and representation. 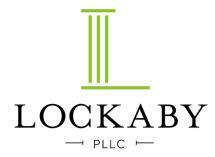 Lockaby PLLC offers free initial consultations.